With the Lost Sheep and Lost Coin similes Jesus explained to his critics that he ate and drank with "sinners" because God rejoices when a person repents. God wants his friends—including Jesus and Jesus' critics—to join him in the celebration. Then Yeshua told them this parable: “Imagine you have a hundred sheep and one of them strays from the flock. Won’t you leave the ninety-nine on the hills and go search for the one that got lost until you’ve found it? And when you’ve finally found it, won’t you carry it home on your shoulders and invite all your nearest and dearest and tell them: ‘Come celebrate with me! I’ve found my missing sheep!’? “Yes! And I’ll tell you what: God rejoices over one sinner who repents even more than he does over ninety-nine righteous people who don’t need to repent. “Or can you imagine a woman who has ten coins each worth a day’s wage, but she’s lost one of them? Won’t she light a lamp, sweep the house, and search until she’s found it? And when she’s finally found it, won’t she invite all her nearest and dearest and tell them: ‘Come celebrate with me! I’ve found the coin I lost!’? In Luke’s Gospel the Lost Sheep and Lost Coin similes (Luke 15:3-10) are given in response to questions regarding the propriety of Jesus’ conduct in associating with sinners. The wording of the introduction to the similes is so closely paralleled in the Call of Levi story that it appears Luke 15:1-3 is, in fact, the First Reconstruction’s (FR) summary of the Call of Levi story, which the First Reconstructor copied from the Anthology (Anth.) (see below, under the subheading “Conjectured Stages of Transmission”). Evidently, the First Reconstructor was more interested in the Pharisaic criticism of Jesus’ association with “toll collectors and sinners” and the parables that Jesus gave in response than he was in the personality of Levi the toll collector. He therefore omitted the specifics of Levi’s call and the banquet Levi held in Jesus’ honor, but retained the Pharisaic criticism of Jesus’ free association with sinners and the twin similes Jesus gave in response. Nevertheless, the First Reconstructor preserved, in a highly condensed form, the original context of the Lost Sheep and Lost Coin similes by correctly explaining that the twin similes were a defense of Jesus’ social contact with tax collectors (Luke 15:1-3). Since it was the First Reconstructor’s method to epitomize Anth. and polish its Greek style, it is likely that neither simile has reached us in as pristine a form as we might have had if the author of Luke had copied them directly from Anth. To the Lost Sheep and Lost Coin similes the author of Luke appended the Prodigal Son parable (Luke 15:11-32). The author of Matthew incorporated the Lost Sheep simile (Matt. 18:10-14) into the fourth major discourse of his Gospel (Matt. 18:1-19:1). This discourse is based on Mark 9:33-50, but the author of Matthew added additional materials from his non-Markan source (i.e., Anth.) and perhaps some items of his own composition, in accordance with his usual procedure when compiling the major discourses. The theme of Matthew’s fourth discourse is pastoral care for the Christian community. As such, the position of the “little ones” within the church (cf. Matt. 18:6, 10, 14) and the restoration of straying members are of primary concern. Beginning with the importance of children (Matt. 18:1-5), the discourse moves on to those who have been enticed to sin. Those who lead them astray are harshly condemned (Matt. 18:6-9), but the little ones themselves are not to be despised (Matt. 18:10-14). Instead, they are to be gently rebuked (Matt. 18:15-20) and forgiven repeatedly from the heart (Matt. 18:21-35). In order to fit the Lost Sheep simile into the context he created for it, the author of Matthew extensively revised the wording of his source and subtly changed the application of the simile from a justification of Jesus’ conduct to a model for pastoral care. 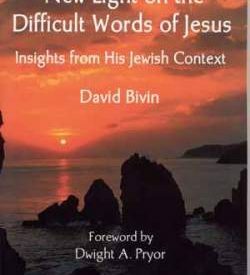 It was during one of Professor David Flusser’s Synoptic Gospel seminars at the Hebrew University of Jerusalem in February of 1978 that Robert Lindsey realized that the Lost Sheep and Lost Coin similes were likely the continuation of the Call of Levi story at a pre-synoptic stage. This realization dawned on Lindsey when he noticed the distinctive vocabulary that appears in the Call of Levi story and the Lost Sheep and Lost Coin similes. This distinctive vocabulary includes the phrase οὐ χρείαν ἔχουσιν (“no need they have”; Luke 5:31; 15:7), δίκαιοι (“righteous persons”; Luke 5:32; 15:7), ἁμαρτωλός (“sinner”; Luke 5:30, 32; 15:1, 2, 7, 10) and μετάνοια (“repentance”; Luke 5:32; 15:7, 10). Lindsey’s insight that the Call of Levi story and the Lost Sheep and Lost Coin similes fit together perfectly is confirmed by our finding that Luke 15:1-10 represents FR’s truncated version of Anth.’s account of Yeshua and Levi the Toll Collector. Accordingly, in the Map of the Conjectured Hebrew Life of Yeshua we have placed the Lost Sheep and Lost Coin similes immediately following the Call of Levi story in the section entitled “Calling and Training Disciples.” To see an overview of the entire “Yeshua and Levi the Toll Collector” complex, click here. Click here to view the Map of the Conjectured Hebrew Life of Yeshua. As we noted above, the Lost Sheep simile is attested in the Gospels of Luke and Matthew. The Lukan and Matthean versions display wide verbal disparity, which classifies the Lost Sheep simile as a Type 2 Double Tradition (DT) pericope. Lindsey attributed the wide verbal disparity between Matthean and Lukan versions of Type 2 DT pericopae to Matthew’s dependence on the Anthology (Anth.) versus Luke’s dependence on the First Reconstruction (FR), an improved Greek epitome of Anth. In the present case, some of the verbal disparity between the Lukan and Matthean versions of the Lost Sheep simile probably is due to their use of different sources, but it also appears that the author of Matthew subjected the Lost Sheep simile to heavy redaction in order to make its message conform to the new context in which he placed it in his Gospel. We have found that the author of Matthew generally copied Anth. with a high degree of fidelity to its wording, but he did not always follow this procedure, especially when he wanted to express a theological opinion not found in his source. In the present case, the author of Matthew omitted the Lost Coin simile altogether and substantially abbreviated the Lost Sheep simile. In addition, since he was adapting the simile to illustrate the value of the “little ones” and to encourage church leaders to provide them with pastoral care, the author of Matthew entirely eliminated the theme of God’s pleasure in repentance, which was the original point of comparison between God and the actors in the two similes. As a result of this editorial activity, much of Anth.’s wording was lost from Matthew’s version of the Lost Sheep simile. First, as we have just noted, Lindsey ascribed the verbal disparity of Type 2 DT pericopae to Matthew’s use of Anth. where Luke depended on FR. Second, Luke 15:1-3 is a doublet of Luke 5:29-31. Lindsey explained the phenomenon of Lukan Doublets as being the result of Luke’s having copied parallel versions of the same pericope from each of his two sources, Anth. and FR. Since Lindsey described FR as a condensed version of Anth. with a more refined Greek style, and since the Greek of Luke 15:1-3 is more polished than that of its doublet in Luke 5:29-31, we are naturally led to the conclusion that the Lost Sheep and Lost Coin similes were copied from FR. Third, as we shall see in the Comment section below, the Lost Sheep and Lost Coin similes in Luke have proven to be more difficult to reconstruct in Hebrew than we have come to expect from pericopae copied from Anth. Although it is possible that the author of Luke was himself responsible for all the editorial activity we find in these similes, usually the author of Luke did not subject the sources he copied to the level of redaction evident in the Lost Sheep and Lost Coin similes. Presuming that Luke treated these similes with the same measure of fidelity to his sources as was his usual custom, it is more likely that the degree of Greek redaction we have detected in Luke’s version of the Lost Sheep and Lost Coin similes was mainly due to the First Reconstructor. Fourth, we think it is unlikely that the author of Luke would have detached the Lost Sheep and Lost Coin similes from their original context as the continuation of the Call of Levi story on his own initiative. 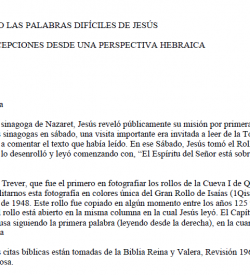 It is more likely that the author of Luke knew two versions of the Call of Levi story. The first version, from Anth., told the “complete story,” including Levi’s call, the banquet Levi held in Jesus’ honor (Luke 5:27-29 and parallels), the skeptical inquiry of the Pharisees (Luke 5:30 and parallels), Jesus’ witty response (“It is not the healthy who need a doctor…”; Luke 5:31-32 and parallels), and the twin Lost Sheep and Lost Coin similes. 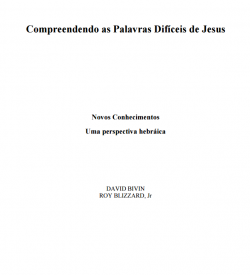 The second version, from FR, presented a highly condensed version that included only the most minimal narrative introduction (Jesus consorted with toll collectors and sinners), the thrust of the Pharisees’ criticism, and the twin similes that conveyed in the most pointed manner the essence of Jesus’ response. Confronted with these two versions, which were different enough so that he was not certain that they described the same episode, the author of Luke chose to copy both accounts, giving Anth.’s longer version in Luke 5:27-32, and FR’s distillation of the incident in Luke 15:1-10. However, since Luke did not want to repeat the similes twice in his Gospel, and since there would be nothing left of the FR version if he omitted the similes there, he omitted the Lost Sheep and Lost Coin similes from the version he copied from Anth. The combination of all these factors leaves little room for doubt that the author of Luke copied the Lost Sheep and Lost Coin similes from FR. Fortunately, due to Lindsey’s realization that stories about Jesus often became fragmented in the process of transmission, and his observation that Lukan Doublets are in fact two versions of the same story copied from parallel sources, we are able to restore the “complete” story of “Yeshua and Levi the Toll Collector” as it likely appeared in the conjectured Hebrew Life of Yeshua. Is it true that the Pharisees despised all shepherds? L1-6 Matthew 18:10 was probably composed by the author of Matthew in order to integrate the Lost Sheep simile into its new context within his discourse on pastoral care. This verse creates a bookend for the Lost Sheep simile, which mirrors the application in Matt. 18:14. Both Matt. 18:10 and Matt. 18:14 mention “one of these little ones,” both mention the “Father in heaven,” and the warning not to despise the little ones in Matt. 18:10 is balanced by the declaration that it is not the will of the Father that any of the little ones be destroyed. It is possible that the author of Matthew found some inspiration for the composition of Matt. 18:10 in the application of the Lost Coin simile, since Matthew’s mention of the angels of the little ones who see the Father’s face is somewhat reminiscent of the angels of God who rejoice over the one sinner who repents (Luke 15:10). L1 ὁρᾶτε μὴ καταφρονήσητε (Matt. 18:10). In phrasing the warning “See that you do not despise,” the author of Matthew utilized his preferred vocabulary. Imperatival forms of ὁρᾶν (horan, “to see”) are typical of Matthew’s editorial style. L2 ἑνὸς τῶν μεικρῶν τούτων (Matt. 18:10). The designation μικρῶν τούτων (mikrōn toutōn, “these little ones”) was a favorite Matthean term for members of his community. The author of Matthew did not coin the phrase μικρῶν τούτων, which occurs in Jesus’ warning against causing “these little ones” to stumble (Luke 17:2; Mark 9:42; Matt. 18:6). However, the author of Matthew expanded the use of this phrase, adding it to Matt. 10:42; 18:10; and 18:14. The verses where the author of Matthew added the phrase “these little ones” were either composed by the author of Matthew himself or subjected to his redaction. L3 λέγω γὰρ ὑμῖν ὅτι (Matt. 18:10). Although he discarded much of the original wording of the Lost Sheep simile, and despite having omitted the Lost Coin simile in its entirety, the author of Matthew did salvage some of the original vocabulary from the Lost Sheep and Lost Coin similes. In Luke 15:7 and Luke 15:10 “I say to you” occurs in applications of the twin similes, which the author of Matthew omitted. As we noted above (Comment to L1-6), Matt. 18:10 seems to have been formulated with the original applications of both similes in mind. L4-6 The concept of angels who watch over individuals is not alien to ancient Judaism (cf., e.g., Gen. 24:7; 48:15-16; Ps. 91:11; Tob. 5:22; 1QS III, 20; t. Shab. 17:2). In Matt. 18:10, however, the angels function as representatives of “these little ones” in the heavenly courts. We believe the author of Matthew adapted this idea from the original application of the Lost Coin simile, which describes the joy the angels experience over one sinner who repents (Luke 15:10). L7 Some NT MSS insert the statement ἦλθεν γὰρ ὁ υἱὸς τοῦ ἀνθρώπου (ζητῆσαι καὶ) σῶσαι τὸ ἀπολωλός (“For the Son of Man came [to seek and] to save the lost”) between Matt. 18:10 and Matt. 18:12. It is all but certain, however, that later copyists interpolated this statement from Luke 19:10, since it is inconceivable that a scribe would have dropped this verse had it appeared in the original text. L8-9 וַיִּמְשׁוֹל לָהֶם אֶת הַמָּשָׁל הַזֶּה לֵאמֹר (HR). In the Gospels of Mark and Matthew we encounter the phrases λέγειν ἐν παραβολαῖς (“to say in parables”; e.g., Mark 3:23; Matt. 22:1) and λαλεῖν ἐν παραβολαῖς (“to speak in parables”; e.g., Mark 12:1; Matt. 13:3, 10, 13, 34), and Mark also has the phrase διδάσκειν ἐν παραβολαῖς (“to teach in parables”; Mark 4:2) to introduce parables. Matthew is alone in using the phrase παρατιθέναι + παραβολή (“to set before [it] a parable”; e.g., Matt. 13:24, 31). The Gospel of Luke, in which all the aforementioned phrases are lacking, is unique among the Synoptics in introducing parables and similes with the construction λέγειν + παραβολή (“to tell [lit., say]” + “a parable”). Unlike the phrases found in Mark and Matthew, Luke’s construction is paralleled in LXX and easily reverts to Hebrew. On four occasions in Ezekiel the construction λέγειν + παραβολή is used to translate מָשַׁל מָשָׁל (“tell a parable”). In addition, we find that parables in rabbinic sources are introduced with statements such as מָשְׁלוּ מָשָׁל (“they told a parable”) or אֶמְשׁוֹל לְךָ מָשָׁל (“I will tell you a parable”). It therefore appears, with regard to the construction λέγειν + παραβολή, that the author of Luke preserved a Hebraic manner of introducing parables and similes. Undoubtedly the author of Luke picked up this Hebraic usage from his sources. L10 τί ὑμῖν δοκεῖ (Matt. 18:12). Matthean redaction is evident not only in the framing of the Lost Sheep simile, but also in the wording of the simile proper. In NT the question τί ὑμῖν δοκεῖ (ti hūmin dokei, “What do you think?”) is limited almost entirely to the Gospel of Matthew. Although we do sometimes encounter the question מָה אַתֶּם סְבוּרִים (māh ’atem sevūrim, “What are you thinking?”) in rabbinic sources, in light of the typical use of τίς ἐξ ὑμῶν to introduce similes (see below, Comment to L12), and in view of Matthew’s editorial activity throughout this pericope, we conclude that Matthew’s τί ὑμῖν δοκεῖ in L10 is redactional. L11 ἐὰν γένηταί (Matt. 18:12). Matthew’s hypothetical “If it might happen…” occurs twice in Matthew’s version of the Lost Sheep simile (Matt. 18:12, 13), but nowhere else in the Gospels, which leads us to suspect that this phrase, too, is redactional. It is possible, however, that Matthew’s use of γίνεσθαι (ginesthai, “to be”) is recycled from the wording of Anth., since this verb appears in Luke’s application of the Lost Coin similes (Luke 15:10; L56) and may have appeared in the original application of the Lost Sheep simile as well (GR L35). L12 τίς ἄνθρωπος ἐξ ὑμῶν (GR). We have accepted Luke’s “What person among you…?” for GR. Elsewhere we have traced the interrogative phrase τίς ἐξ ὑμῶν (tis ex hūmōn) in Luke to Anth. The origin of τίς ἐξ ὑμῶν in Anth. is confirmed by the agreement of Luke and Matthew to use this phrase in Matt. 6:27 // Luke 12:25, and the near agreement in Matt. 7:9 // Luke 11:11, both of which occur in DT pericopae. The addition of ἄνθρωπος (anthrōpos, “person”)—less precise than ἀνήρ (anēr, “man”)—to the interrogative phrase τίς ἐξ ὑμῶν may be intended to highlight the contrast with the protagonist in the second simile, a woman (Luke 15:8; L39). Using characters from contrasting walks of life is a feature of many of Jesus’ twin illustrations. We have encountered similarly contrasting figures in the Hidden Treasure and Priceless Pearl parables, where the protagonists were a poor laborer and a wealthy merchant, and in Tower Builder and King Going to War, where the contrast was between commoner and royalty. מִי אָדָם בָּכֶם (HR). On the reconstruction of τίς ἐξ ὑμῶν as מִי בָּכֶם, see Tower Builder and King Going to War, Comment to L1. A modern-day shepherd leads his flock past Absalom’s Pillar in Jerusalem’s Kidron Valley. Photograph courtesy of Joshua N. Tilton. Some scholars have objected that the Lost Sheep simile would have shocked and offended the Pharisees, who despised the shepherding profession. Moreover, the question “What person among you…?” would have been inapplicable to the Pharisees, since none of them were shepherds. The validity of this objection, however, can be challenged on three fronts. First, while it is true that some rabbinic sources reflect a negative view of shepherds, this opinion is by no means universal. There were, indeed, some sages who raised sheep and/or goats. Second, it is only in the Gospel of Thomas that the owner of the sheep is explicitly identified as a shepherd. It may be that the audience was intended to identify the main actor in the Lost Sheep simile not as a shepherd per se, but as a farmer who owned a medium-sized flock of sheep. Such a farmer could have afforded to hire a shepherd to tend his flock for him. Third, even if there were no sheep owners among the Pharisees to whom the Lost Sheep simile was addressed, they were certainly capable of imagining what they would do if they had lost a sheep and how they would feel upon its recovery. Thus we do not find the objection that the Lost Sheep simile could not originally have been addressed to Pharisees to be compelling. L13 שֶׁיֵּשׁ לוֹ מֵאָה צֹאן (HR). On reconstructing ἔχειν (echein, “to have”) with יֵשׁ (yēsh, “there is”), see Tower Builder and King Going to War, Comment to L4. Both Matthew and Luke agree on the phrase ἑκατὸν πρόβατα (ekaton probata, “one hundred sheep”). In LXX we encounter the phrase ἑκατὸν πρόβατα in 3 Kgdms. 5:3 as the translation of מֵאָה צֹאן (mē’āh tzo’n, “one hundred sheep”). The phrase מֵאָה צֹאן is also a normal way of referring to a hundred sheep in rabbinic sources. A hundred sheep made for a medium-sized flock in the ancient Roman world. The Tosefta mentions a flock of three hundred sheep as unusually large (t. Bab. Kam. 6:20). The owner of the sheep described in this simile should therefore probably be imagined as being reasonably well-to-do, but not extremely wealthy. L14-20 It is in this brief section of the Lost Sheep simile that the author of Matthew appears to have adhered more closely to his source than in any other portion of the Lost Sheep simile. In these lines the author of Matthew was not adapting the simile to its new context or reworking the wording of the simile to make it fit his new application. In other words, in L14-20 we encounter the kernel of the Lost Sheep simile that Matthew copied from his source. As a result, there are points in this section at which Matthew’s version seems preferable to Luke’s. 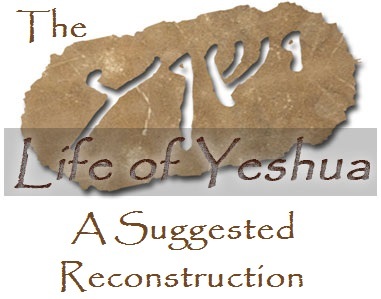 This is not surprising, since the Anthology, Matthew’s source for the Lost Sheep simile, is one step closer to the Greek translation of the conjectured Hebrew Life of Yeshua than Luke’s source for the Lost Sheep simile, the First Reconstruction. Μὴ ἰδὼν τὸν μόσχον τοῦ ἀδελφοῦ σου ἢ τὸ πρόβατον αὐτοῦ πλανώμενα ἐν τῇ ὁδῷ ὑπερίδῃς αὐτά ἀποστροφῇ ἀποστρέψεις αὐτὰ τῷ ἀδελφῷ σου καὶ ἀποδώσεις αὐτῷ. Our decision to accept καὶ πλανηθῇ for GR was also influenced by our conviction that the Lost Sheep simile draws on the imagery of Ezekiel 34, a chapter in which God chastises the shepherds of Israel for not retrieving the sheep that wandered (τὸ πλανώμενον/הַנִּדַּחַת) and not seeking the sheep that were lost (τὸ ἀπολωλός/הָאֹבֶדֶת) (Ezek. 34:4, 16). It appears that neither the author of Matthew nor the First Reconstructor recognized Ezekiel 34 as the source for the imagery in the Lost Sheep simile, and therefore both writers homogenized the vocabulary, with the First Reconstructor consistently using ἀπολλύειν (apollūein, “to lose”; L14, L21, L32, L41, L51) and the author of Matthew mainly using πλανᾶν (L14, L21, L38). We note, moreover, that accepting καὶ πλανηθῇ for GR helps us to understand why the owner of the sheep, when summoning his friends and neighbors, does not take responsibility for the loss of the sheep (“I have found my lost sheep”; Luke 15:6) the way the woman in the Lost Coin simile, when summoning her friends and neighbors, takes responsibility for losing her coin (“I have found the coin that I lost”; Luke 15:9). וְנִדַּחַת (HR). We have reconstructed καὶ πλανηθῇ (kai planēthē, “and might stray”) as וְנִדַּחַת (venidaḥat, “and strays”). In MT the verb נִדַּח (nidaḥ, “be driven away,” “stray”) describes the straying of sheep in Deut. 22:1; Ezek. 34:4, 16. In LXX πλανᾶν translates the verb נִדַּח in Deut. 4:19; 22:1; 30:17; Ezek. 34:4, 16. L15 ἓν ἐξ αὐτῶν (GR). We have accepted Matthew’s word order ἓν ἐξ αὐτῶν (hen ex avtōn, “one from them”) for GR because it is more Hebraic than Luke’s ἐξ αὐτῶν ἓν (ex avtōn hen, “from them one”). Luke’s order is probably a Greek improvement introduced by the First Reconstructor, whereas the author of Matthew probably copied ἓν ἐξ αὐτῶν directly from Anth. L16 οὐχὶ καταλείπει (GR). Not only did the author of Matthew write οὐχί (ouchi, “not”) in this section where he is reflecting Anth. more faithfully than in other parts of the Lost Sheep simile, but in the grammatically parallel sections of the Lost Coin (L42), Tower Builder (L3) and King Going to War (L13; L20 [GR]) similes we likewise find οὐχί, which leads us to conclude that Luke’s οὐ (ou, “not”) is an improvement from FR. Deciding between Matthew’s ἀφήσει (afēsei, “he will leave”) and Luke’s καταλείπει (kataleipei, “he leaves”) is more difficult. As we have just noted, the author of Matthew adhered more closely to Anth. in this section than in the rest of the Lost Sheep simile. In addition, ἀφιέναι (afienai, “to leave”) is more common in the Gospels than καταλείπειν (kataleipein, “to leave”). On the other hand, the author of Matthew may have changed καταλείπει to ἀφήσει precisely because ἀφιέναι was more familiar. Our decision to accept Luke’s καταλείπει for GR rests on two points. First, καταλείπειν is not characteristically Lukan terminology, so there is no reason to suspect that the author of Luke altered his source to reflect his personal preference. Second, καταλείπειν also occurs in the Call of Levi story (L18; Luke 5:28). The presence of distinctive vocabulary in Call of Levi and the twin similes supports Lindsey’s suggestion that at a pre-synoptic stage the Lost Sheep and Lost Coin similes were the continuation of the Call of Levi story. הֲלֹא יַנִּיחַ (HR). On reconstructing οὐχί as הֲלֹא, see Tower Builder and King Going to War, Comment to L3. On reconstructing καταλείπειν with הִנִּיחַ (hiniaḥ, “leave”), see Call of Levi, Comment to L18. Luke’s καταλείπει (“he leaves”) is in the present tense, but we have reconstructed with a Hebrew imperfect. We also reconstructed a present tense verb with an imperfect in Tower Builder and King Going to War at L3. L17 τὰ ἐνενήκοντα ἐννέα (GR). In Codex Vaticanus, which we use as our base text for our reconstruction, Matt. 18:12 reads τὰ ἐνενήκοντα ἐννέα πρόβατα (“the ninety-nine sheep”) at L17. Critical editions of NT, however, regard πρόβατα (probata, “sheep”) as spurious, probably added by the copyist who produced Vaticanus. Given the absence of πρόβατα in Luke and the probability that πρόβατα does not properly belong to the text of Matthew, we have omitted πρόβατα from GR. Some scholars have suggested that we ought to understand from the number ninety-nine that the owner of the sheep had just counted his flock as he was putting them into the fold at night. This ingenious suggestion attempts to resolve the problematic implication that the ninety-nine sheep were put in danger by being left without anyone to defend them while the man went looking for the one lost sheep. The problem this imaginative proposal attempts to resolve, however, is more apparent than real, since there is no reality behind or beyond the sparse Lost Sheep narrative of which we can ask questions. Jesus’ parables and similes do not describe real events that actually took place, and therefore the question “What happened to the ninety-nine sheep?” is meaningless. Any details that are omitted from the narrative have nothing to do with the comparison that Jesus intended to make. L18 ἐπὶ τὰ ὄρη (GR). Deciding between Matthew’s ἐπὶ τὰ ὄρη (epi ta orē, “on the hills”) and Luke’s ἐν τῇ ἐρήμῳ (en tē erēmō, “in the wilderness”) is extremely difficult. Both options can easily be reconstructed in Hebrew, the first option as עַל הֶהָרִים (‘al hehārim, “on the mountains”) and the second option as בַּמִּדְבָּר (bamidbār, “in the wilderness”). Three considerations tip the balance in favor of accepting Matthew’s “on the mountains” for GR. First, as we have noted, in L14-20 the author of Matthew adhered more closely to the wording of Anth. than in any other part of the Lost Sheep simile, so there is a good chance that Matthew’s ἐπὶ τὰ ὄρη reflects the reading of Anth. Second, Matthew’s “on the mountains” can be explained as drawing on the imagery of Ezekiel 34, where mountains and hills are mentioned repeatedly (cf. Ezek. 34:6, 13, 14 [2xx], 26). Third, Luke’s reading, “in the wilderness,” the normal grazing ground for sheep (cf. m. Bab. Kam. 7:7), can be explained as the First Reconstructor’s attempt to prevent readers from drawing the problematic inference that the owner of the sheep risked the lives of the ninety-nine sheep by abandoning them in the mountains. Thus, we have identified a motive that can account for why the author of Luke or the First Reconstructor might have changed ἐπὶ τὰ ὄρη to ἐν τῇ ἐρήμῳ, but there is no obvious reason why the author of Matthew would have changed “in the desert” to the possibly theologically problematic “on the mountains” if he had found ἐν τῇ ἐρήμῳ in his source. עַל הֶהָרִים (HR). The vast majority of the instances of the noun ὄρος (oros, “mountain”) in LXX occur as the translation of הַר (har, “mountain,” “hill”). Likewise, we find that the LXX translators nearly always rendered הַר as ὄρος. L19-21 καὶ πορευθεὶς ζητεῖ τὸ ἀπολωλὸς (GR). We have preferred Matthew’s καὶ πορευθεὶς ζητεῖ (kai porevtheis zētei, “and going he seeks”) to Luke’s καὶ πορεύεται ἐπὶ (kai porevetai epi, “and he goes after”) for GR. Scholars have noted that the construction πορεύεσθαι + ἐπί + accusative is characteristically Lukan, and, as Harnack noted, Luke’s wording looks like a Greek improvement of Matthew’s more Hebraic phrasing. “Seeking,” moreover, is an important theme that unites the Lost Sheep and Lost Coin similes (cf. L44; Luke 15:8), which carries echoes of Ezekiel 34. On the other hand, we have preferred Luke’s τὸ ἀπολωλός (to apolōlos, “the lost one”) over Matthew’s τὸ πλανώμενον (to planōmenon, “the wandering one”). For pastoral reasons the author of Matthew wanted to stress the theme of bringing strays back into the fold, whereas in its original form the Lost Sheep simile was probably intended to allude to Ezekiel 34, where we twice find ζητεῖν in combination with τὸ ἀπολωλός (Ezek. 34:4, 16). As we noted earlier (Comment to L14), in his statement “It is not the will of my Father in heaven that one of these little ones should be lost” (Matt. 18:14), the author of Matthew betrays his knowledge that in its original form the simile referred to a sheep that was lost. A sheep on Givat haMivtar in Jerusalem rests its head on a stone. Photograph courtesy of Joshua N. Tilton. On reconstructing πορεύεσθαι (porevesthai, “to go”) with הָלַךְ (hālach, “walk”), see Widow’s Son in Nain, Comment to L2. On reconstructing ζητεῖν (zētein, “to seek”) with בִּקֵּשׁ (biqēsh, “seek”), see Hidden Treasure and Priceless Pearl, Comment to L12. L21 אֶת הָאֹבֶדֶת (HR). In the LXX translation of Ezekiel 34 the lost sheep is twice described as τὸ ἀπολωλός (Ezek. 34:4, 16), and in both instances the Hebrew text has אֶת הָאֹבֶדֶת (’et hā’ovedet, “the lost one”). L22 ἕως οὗ εὕρῃ αὐτό (GR). According to Luke, the search for the lost sheep continues until its owner has found it. In Matthew’s version, whether or not the sheep will be found is left uncertain. We regard Luke’s version as more authentic, being paralleled in the Lost Coin simile (L45; Luke 15:8). From this point onward the author of Matthew begins once more to depart from the wording of Anth. In the Lost Sheep simile Luke has ἕως εὕρῃ (heōs hevrē, “until he might find”; Luke 15:4), but in the parallel phrase in the Lost Coin simile Luke has ἕως οὗ εὕρῃ (heōs hou hevrē, “until that she might find”; Luke 15:8). We have added the relative pronoun οὗ (hou, “who,” “what,” “that”) to GR in L22 on the supposition that οὗ originally occurred in both parallel phrases and functioned as the translation of the relative pronoun -שֶׁ. עַד שֶׁיִּמְצָא אֹתָה (HR). In LXX ἕως (heōs, “until”) occurs frequently as the translation of עַד (‘ad, “until”). The LXX translators rendered the phrase עַד אֲשֶׁר (‘ad ’asher, “until that”) in a variety of ways, such as ἕως τοῦ + infinitive or ἕως ἂν + subjunctive. The translation of עַד אֲשֶׁר as ἕως οὗ + subjunctive, similar to our reconstruction with -עַד שֶׁ, was fairly common. Our reconstruction of ἕως οὗ εὕρῃ αὐτό as עַד שֶׁיִּמְצָא אֹתָה reflects MH rather than BH style. L23-32 Did the author of Luke (or his source) add the details about the owner finding the sheep, putting it on his shoulders, and calling upon his friends and neighbors to rejoice with him, or did the author of Matthew eliminate them? We believe it to be the latter. As we shall see, the wording of Luke 15:5-6 can be reconstructed in Hebrew with relative ease, so it is unlikely that the author of Luke penned these verses himself. It is more likely that Luke was copying a source. Luke’s source for the Lost Sheep simile was FR, a source that typically pared down what was written in Anth. Given this tendency, it is unlikely that the First Reconstructor would have added details to the simile not found in Anth. L23 καὶ εὑρὼν αὐτὸ (GR). We have added the personal pronoun αὐτό (avto, “it”) to GR. The First Reconstructor may have omitted αὐτό, finding it redundant. Matthew’s parallel phrase, καὶ ἐὰν γένηται εὑρεῖν αὐτό (kai ean genētai hevrein avto, “and if he finds it”), does have the personal pronoun, and maybe the personal pronoun was also included in Anth. Third-century C.E. fresco in the Catacomb of Priscilla in Rome depicting a shepherd carrying a sheep on his shoulders. Image courtesy of Wikimedia Commons. L25 μετὰ χαρᾶς (GR). In Return of the Twelve we read that the apostles returned to Jesus rejoicing (Luke 10:17), where the Greek phrase is μετὰ χαρᾶς (meta charas, “with joy”). In that instance we believe Luke was copying Anth. We suspect that χαίρων (chairōn, “rejoicing”) here in Luke 15:5 is FR’s replacement for Anth.’s more Hebraic μετὰ χαρᾶς. On reconstructing μετὰ χαρᾶς as בְּשִׂמְחָה (besimḥāh, “with joy”), see Return of the Twelve, Comment to L4. L26 וּבָא לְבֵיתוֹ (HR). On reconstructing ἔρχεσθαι (erchesthai, “to come”) with בָּא (bā’, “come”), see Demands of Discipleship, Comment to L4. On reconstructing οἶκος (oikos, “house”) with בַּיִת (bayit, “house”), see Not Everyone Can Be Yeshua’s Disciple, Comment to L33. Although the Greek text lacks a possessive pronoun, we have reconstructed εἰς τὸν οἶκον (eis ton oikon, “to the house”) as לְבֵיתוֹ (levētō, “to his house”) with the pronominal suffix. We have found that Greek translators often dropped possessive pronouns where the underlying Hebrew text has a noun with a pronominal suffix. L27-28 וְקֹרֵא לְאוֹהֲבָיו וְלִקְרוֹבָיו (HR). Although we doubted whether συγκαλεῖν (sūnkalein, “to call together”) stemmed from Anth. when we encountered it in Luke 9:1 (see Sending the Twelve: Commissioning, Comment to L14), here we have accepted συγκαλεῖν for GR and reconstructed it with -קָרָא לְ (qārā’ le–, “call to,” “summon”). The Lost Sheep simile illustrated in stained glass. Image courtesy of Wikimedia Commons. The combination of φίλος (filos, “friend”) and γείτων (geitōn, “neighbor”), which occurs in both the Lost Sheep and the Lost Coin similes, is not familiar from LXX, nor is it found elsewhere in NT. We do, however, find the phrase φίλων ὄντων καὶ γειτνιώντων (“being friends and neighbors”) in Josephus’ retelling of the story of Abraham’s rescue of his nephew Lot (Ant. 1:176). Although we considered reconstructing φίλος and γείτων with חָבֵר (ḥāvēr, “companion,” “friend”) and שָׁכֵן (shāchēn, “neighbor”) respectively, the pairing of חָבֵר with שָׁכֵן is not common in ancient Jewish sources. Nor do we find any examples in LXX where φίλος is the translation of חָבֵר. We have therefore decided to reconstruct φίλος as אוֹהֵב (’ōhēv, “friend”) and γείτων with קָרוֹב (qārōv, “relative”) based on the collocation of these two terms in rabbinic sources. In LXX γείτων is usually the translation of שָׁכֵן,‎ but the LXX evidence is not decisive, since קָרוֹב in the sense of “relative” is not encountered in the Hebrew Bible. Given its basic sense of “nearness,” it is not difficult to imagine that the Greek translator of the Hebrew Life of Yeshua might have rendered קָרוֹב as γείτων. The description of the owner of the sheep summoning his friends and neighbors (or relatives) highlights the communal aspect of the simile. Herein is the point of comparison between the simile and the situation it was given to illustrate (namely, Jesus’ eating with toll collectors and sundry sinners): Just as the owner of the flock called his friends and neighbors to rejoice with him over the recovery of his lost sheep, so God calls the righteous (i.e., Jesus, the disciples, and also the scribes and Pharisees) to join him in rejoicing over sinners who repent. In other words, it is not enough that the owner of the sheep was happy, he wanted others to share in the celebration. So, too, it is not enough that God is happy about repentant sinners, he wants the righteous to celebrate over them—and with them—too. L29 לוֹמַר לָהֶם (HR). Since we are in dialogue we prefer to reconstruct λέγων (legōn, “saying”) as לוֹמַר (lōmar, “to say”) in accordance with MH style. Compare our reconstruction of λέγοντες (legontes, “saying”) with לוֹמַר in Tower Builder and King Going to War, L9. L30 συγχάρητέ μοι (GR). Since the verb συγχαίρειν (sūnchairein, “to rejoice with”) occurs only once in LXX (Gen. 21:6), where συγχαρεῖταί μοι (sūnchareitai moi, “he will rejoice with me”) serves as the translation of יִצְחַק לִי (yitzḥaq li, “he will laugh with me”), we considered whether in GR we ought to have the simple imperative χαίρετε (chairete, “Rejoice!”). However, in MH sources we encounter the phrase שָׂמַח עִם (sāmaḥ ‘im, “rejoice with”). Since συγχάρητέ μοι (sūncharēte moi, “Rejoice with me!”) is a literal translation of שִׂמְחוּ עִמִּי (simḥū ‘imi, “Rejoice with me!”), which could have been the reading in the conjectured Hebrew Ur-text, there is no reason to amend συγχάρητέ μοι to χαίρετε in GR. L32 אֶת הַשֶּׂה שֶׁלִּי הָאֹבֶדֶת (HR). Hebrew has a variety of words for a sheep, including כֶּבֶשׂ (keves, “sheep”), כַּר (kar, “young ram”), טָלֶה (ṭāleh, “lambkin”) and אַיִל (’ayil, “ram”). The noun צֹאן (tzo’n) can mean either “sheep” or “flock,” but with a pronominal suffix it seems always to have the latter sense. We have settled on שֶׂה (seh), a common word for a sheep in biblical and post-biblical sources. Usually שֶׂה is treated as a masculine noun, but in Ezekiel 34, where שֶׂה is used to designate single members of the flock (צֹאן), שֶׂה is treated as feminine (Ezek. 34:20). Since we believe Jesus intended the Lost Sheep simile to echo the words of Ezekiel, שֶׂה is the obvious choice for HR. L33-38 In Matt. 18:13 the author of Matthew departed significantly from his source, but this did not prevent him from recycling words and phrases he found in Anth. It appears that the author of Matthew turned the original application of the Lost Sheep simile—“Amen! I say to you there is greater joy in heaven over one sinner who repents than over ninety-nine righteous persons who have no need of repentance”—into the conclusion of the simile itself—“Truly I say to you, he [i.e., the owner of the sheep] rejoices over it more than over the ninety-nine non-straying ones”—having dropped the details about the owner setting the sheep upon his shoulders and inviting his friends and neighbors to rejoice with him (see above, Comment to L23-32). By reworking the conclusion of the Lost Sheep simile in this way, the author of Matthew was able to reiterate the theme of straying (L38), which assisted him in his reapplication of the simile as a pastoral exhortation for the leaders of the Matthean community to care for those who were drifting away from the church (see above, “Story Placement”). His editorial changes also allowed the author of Matthew to rework the application of the Lost Coin simile into a new application for the Lost Sheep simile (Matt. 18:14). A man and a woman tend to their flock near the traditional site of the shepherds’ fields outside Bethlehem. Photograph courtesy of Joshua N. Tilton. L33-34 ἀμὴν λέγω ὑμῖν ὅτι (GR). In Matt. 18:13 the phrase ἀμὴν λέγω ὑμῖν (amēn legō hūmin) occurs in a very un-Hebraic manner, appearing in the middle of a sentence with the meaning “truly I say to you.” In Hebrew אָמֵן (’āmēn) is an affirmative response to a prior statement. This does not mean, however, that Matt. 18:13 is not reflecting Anth. in some way. The author of Matthew cut away much of the original simile, and rewrote its ending and application, but this did not prevent him from recycling some of the words and phrases he found in his source. Luke 15:7 also has the phrase λέγω ὑμῖν ὅτι, and while Luke seems to preserve the original position of this phrase as the introduction to the application, Matthew probably preserved the original formulation, which included ἀμήν. The author of Luke, or more probably the First Reconstructor, likely dropped ἀμήν because it was a foreign word that may not have been familiar to a non-Jewish, Greek-speaking audience. In GR ἀμὴν λέγω ὑμῖν ὅτι occurs in a Hebraic position as an affirmation of what preceded (ἀμήν) and a spelling out of further implications (λέγω ὑμῖν ὅτι). We have not included an equivalent to ὅτι (hoti, “that”) in HR. While ὅτι is often used to introduce direct speech in Greek, a Hebrew equivalent is superfluous. L35 οὕτως γείνεται χαρὰ ἐν τοῖς οὐρανοῖς (GR). We suspect that in Luke 15:7 a redactor, probably the First Reconstructor, attempted to polish the Greek style and in doing so eliminated a Hebraism and changed the tense of the verb for “to be” to the future. The First Reconstructor probably eliminated a Hebraism by changing ἐν τοῖς οὐρανοῖς (“in the heavens [plur. ]”) in Anth. to ἐν τῷ οὐρανῷ (“in the heaven [sing.]”). In Hebrew “heaven” is always plural, and this is probably reflected in phrases such as Πάτερ ἡμῶν ὁ ἐν τοῖς οὐρανοῖς (“Our Father, the one in the heavens”; Matt. 6:9), which opens Matthew’s version of the Lord’s Prayer. The present tense, indicated by γείνεται (geinetai, “there is”) in GR, not only occurs in the Lost Coin simile’s parallel statement (L56; Luke 15:10), but the present tense also makes better sense. Both similes defend Jesus’ action in the present (eating with toll collectors and sinners) because God rejoices over repentant sinners in the present, too. The editorial change to the future tense is probably not laden with theological meaning. It may simply reflect the First Reconstructor’s preference for variation of wording in the parallel applications of the two similes. Evidently, he considered verbatim repetition to be tedious for his Greek readers. On reconstructing χαρά (chara, “joy”) with שִׂמְחָה (simḥāh, “joy”), see above, Comment to L25. L36 עַל רָשָׁע אֶחָד שֶׁעֹשֶׂה תְּשׁוּבָה (HR). Examples of שָׂמַח עַל (sāmaḥ ‘al, “rejoice over”), such as we have in our reconstruction (L35-36), occur in the Hebrew Bible, DSS, and in rabbinic sources. On the reconstruction of ἁμαρτωλός (hamartōlos, “sinner”) as רָשָׁע (rāshā‘, “wicked”), see Call of Levi, Comment to L29. On תְּשׁוּבָה (teshūvāh, “repentance”), see Call of Levi, Comment to L68. “Repentance” is a key term that links the Lost Sheep and Lost Coin similes to the Call of Levi story. L37 ἢ ἐπὶ τοῖς ἐνενήκοντα ἐννέα (Matt. 18:13). Matthew’s recycling of Anth.’s wording is particularly evident in L37, where every single word except for τοῖς (tois, “the”) is paralleled in Luke 15:7. Whereas the comparison between the one and the ninety-nine originally concerned God’s pleasure over one repentant sinner versus ninety-nine righteous persons, as it does in Luke, the author of Matthew has reworked the comparison, making it refer to the owner’s joy over the one sheep that had strayed. מֵעַל תִּשְׁעִים וְתִשְׁעָה צַדִּיקִים (HR). On reconstructing ἐνενήκοντα ἐννέα (enenēkonta ennea, “ninety-nine”) as תִּשְׁעִים וְתִשְׁעָה (tish‘im vetish‘āh), see above, Comment to L17. On reconstructing δίκαιος (dikaios, “righteous”) as צַדִּיק (tzadiq, “righteous”), see Call of Levi, Comment to L66. L38 οἵτινες οὐ χρείαν ἔχουσιν μετανοίας (Luke 15:7). The phrase οὐ χρείαν ἔχουσιν (ou chreian echousin, “no need they have”) is an important verbal link that unites the Call of Levi story with the Lost Sheep simile (Matt. 9:12 // Mark 2:17 // Luke 5:31; 15:7). See Call of Levi, Comment to L59. This rabbinic parallel is of interest not only because of the linguistic parallel to “have need of repentance,” but also because of its comparison of a sinner to a sick person who needs a doctor, a comparison that also occurs in the Call of Levi story (Matt. 9:12 // Mark 2:17 // Luke 5:31). Rabbi Meir’s statement presupposes the notion that a house exhibiting scale disease-like symptoms is a divine punishment for sin. Nevertheless, he underscores that the Torah’s provisions demonstrate God’s concern and compassion for the wicked person he punishes. Once again, the rhetorical thrust of Rabbi Meir’s statement is to highlight how much greater is God’s concern for the righteous than for the wicked, but he achieves this goal by stressing that God cares even for the wicked. In comparison with the above examples, Jesus’ declaration that there is greater rejoicing over one wicked person who repents than over ninety-nine righteous individuals runs counter to expectations. Unlike the rabbinic examples, Jesus does not make a kal vahomer argument about God’s attitude toward the righteous based on his concern for the wicked. Nevertheless, Jesus’ declaration and the rabbinic arguments do agree that God does care for the wicked. While Jesus’ assertion in the Lost Sheep simile may have been shocking to his listeners, it was founded on a premise with which his critics would probably have agreed. According to this source, the Hasidim of the Second Temple period recognized two classes of people among their ranks: those who had been pious their entire lives (and consequently had no need of repentance), and those who had repented at some point in their adulthood and had begun leading a pious existence thereafter. Since there are numerous points of agreement between the teachings of Jesus and those of the Hasidim, it is reasonable to consider the possibility that Jesus agreed with them regarding the existence of individuals who had no need of repentance. The rabbinic sages also discussed the (at least theoretical) possibility of thoroughly righteous individuals, who would logically have no need of repentance. The rabbinic term for such individuals was צַדִּיק גָּמוּר (tzadiq gāmūr, “completely righteous”). According to one rabbinic text, God rewards the completely righteous only in the world to come, whereas the completely wicked receive all their reward for whatever small acts of goodness they may have done in this world, so that there is no reward left for them in the world to come (Sifre Deut. §307 [ed. Finkelstein, 345]). According to the Tosefta, Bet Shammai classed humanity into three groups: the completely righteous, the completely wicked, and an intermediate group. The completely righteous will escape judgement altogether; the completely wicked will be consumed in Gehenna; the intermediate group will be purified in Gehenna’s flames but ultimately enter the world to come (t. Sanh. 13:3). Since this division of humanity into three classes is attributed to Bet Shammai it is reasonable to assume that the concept of the completely righteous existed during the late Second Temple period when Bet Shammai was active. If Jesus had held the opinion that there were individuals who, having lead completely blameless lives, never needed to repent, the above sources demonstrate that his view would not have been unprecedented. Nevertheless, neither the Call of Levi story nor the Lost Sheep and Lost Coin similes establish that this was, in fact, Jesus’ position. In Call of Levi Jesus was willing, for the sake of argument, to accept his critics’ assumption that they (certain Pharisees) were righteous. Granting that these Pharisees were righteous, Jesus said to them, “I have not come to call the righteous to repentance, but sinners.” After all, the healthy have no need of a doctor, but the sick. In these statements Jesus referred to the Pharisees’ status vis-à-vis God at the time of their conversation, conceding that they were currently in good standing with their creator. Jesus’ view of his critics’ present status implied nothing about his opinion regarding whether or not the same Pharisees had needed to repent in the past. Perhaps Jesus believed these Pharisees had needed to repent at some point in order to attain their righteous standing before God, perhaps not. The question is beyond the scope of Jesus’ argument. Similarly, the statement “the healthy have no need of a doctor” implies nothing about the patient’s medical history. Perhaps at some point in the past the healthy person had been ill and had required the services of a physician. But that is hardly the point. A person who is currently healthy has no need of a doctor now. The same considerations apply to Jesus’ reference to righteous people who have no need of repentance in the application of the Lost Sheep simile. Jesus’ point is not that such righteous persons never needed to repent in the past. Perhaps these righteous individuals did have to repent at some previous time, perhaps not. Anything beyond their current status as righteous persons, however, is simply beyond the scope of Jesus’ argument in which Jesus contrasted the rush of joy God feels over the repentance of a sinner with the calm satisfaction God takes in someone who is currently righteous. The point is not that God values a sinner more than a righteous person, but merely that when a sinner repents it catches God’s attention. He does not ignore the righteous, in fact, he wants them to share his thrill of excitement and to celebrate with him. Whereas God feels no anxiety over the righteous, whom he knows to be safe in his care, he constantly worries about people trapped in wickedness who might be lost to him forever. Therefore he feels a flood of relief whenever a sinner repents. Jesus’ rhetorical strategy in Call of Levi and in Lost Sheep and Lost Coin was not to convince the Pharisees that they, too, were sinners in need of repentance. Rather it was to convince the Pharisees that God wanted them to join him in his celebration over one sinner’s (Levi’s) repentance. Based on this strategy, Jesus was willing to concede that the Pharisees were indeed righteous, not currently in need of repentance. Precisely because they were in good standing with their creator, God wanted these righteous Pharisees to follow Jesus example, rejoicing at the banquet in honor of Levi’s repentance. L39 ἤ τίς γυνὴ (GR). We encountered an identical use of ἤ (ē, “or”) at the juncture of twin similes in Tower Builder and King Going to War, L12 (Luke 14:31). Also similar to the Tower Builder and King Going to War similes, we do not encounter the phrase ἐξ ὑμῶν (ex hūmōn, “from you”) in the opening line of Lost Coin as we did in the Lost Sheep simile, just as ἐξ ὑμῶν is lacking in the opening line of the King Going to War simile (L12), though it was present in the opening line of the Tower Builder simile. The reason for the omission of ἐξ ὑμῶν in the second of both sets of twin similes is probably the same in both cases. While it is conceivable that there were farmers among Jesus’ audience who might consider building a tower or who might own a herd of sheep, there were no kings and probably no women among the individuals to whom the similes were addressed. וּמִי אִישָׁה (HR). On reconstructing γυνή (gūnē, “woman,” “wife”) with אִשָּׁה (’ishāh, “woman,” “wife”), see Demands of Discipleship, Comment to L6. L40 ἔχουσα δέκα δηνάρια (GR). We suspect that Luke 15:8 has been subjected to a fair amount of redactional activity, probably at the hand of the First Reconstructor. The word order δραχμὰς ἔχουσα δέκα (“drachmas having ten”) is un-Hebraic, as is the noun δραχμή (drachmē, “drachma”) itself. While the loanword דַּרְכְּמוֹן (darkemōn) does occur 4xx in MT, its relationship to the Greek term δραχμή is disputed, and there is no evidence for its use in Hebrew beyond the Persian period. In NT the noun δραχμή is found exclusively in the Lost Coin simile, although in Matt. 17:24 we encounter the related term δίδραχμον (didrachmon, “two-drachma coin”) in a pericope either entirely composed in Greek or thoroughly rewritten by a Greek redactor. The preference for the term δηνάριον (dēnarion, “denarius”) in the Gospels is somewhat surprising given that in the eastern provinces of the Roman Empire the denarius was usually referred to as δραχμή in Greek. In the writings of Philo and Josephus, for instance, we never encounter the term δηνάριον, whereas δραχμή occurs 11xx in Philo’s works and 26xx in Josephus’ writings. Given the preference for “drachma” over “denarius” among Greek writers, we suspect that the First Reconstructor changed “denarius” to “drachma” as a stylistic improvement to his source (Anth.). Our reconstruction in GR reflects this suspicion, and in addition restores a more Hebraic word order such as we find in L13 of the Lost Sheep simile. In this example the plural form of דִּינָר is spelled with a final nun. Examples of plural forms of דִּינָר spelled with the final mem, as in our reconstruction, are found in m. Maas. Shen. 2:9. Jeremias popularized the view that the ten coins belonging to the woman in the simile were part of a headdress, but there is nothing in the simile to support this surmise. L41 καὶ ἀπολέσῃ δηνάριον ἓν (GR). In the parallel to this question in the Lost Sheep simile (L14) we encountered καί (kai, “and”) instead of ἐάν. Given this parallel, and the fact that καί is easier to reconstruct in Hebrew than ἐάν in this sentence, we suspect that ἐάν (ean, “if”) in Luke 15:8 is a Greek improvement from the hand of the First Reconstructor. On our preference for δηνάριον in GR, see above, Comment to L40. One drachma/denarius was the average day’s pay of a hired laborer during the Second Temple period, which is a significant amount for anyone to lose, and especially so for the woman in the simile for whom the loss represented one tenth of her savings, a much more significant financial loss than one sheep from a flock of one hundred head. Thus Fitzmyer’s suggestion that the woman described in the Lost Coin simile was miserly is unfounded. First or early second-century C.E. lamp found at Tel Shosh near Kibbutz Mishmar HaEmek. Photographed at the Israel Museum by Joshua N. Tilton. L42 הֲלֹא תַּדְלִיק נֵר (HR). On reconstructing οὐχί as הֲלֹא, see above, Comment to L16. In LXX ἅπτειν (haptein, “to kindle”) is never used to translate הִדְלִיק (hidliq, “kindle,” “ignite”). However, the compound verb ἐξάπτειν (exaptein, “to kindle”) is twice used in LXX to refer to lighting a lamp (Exod. 30:8; Num. 8:3) where ἐξάπτειν λύχνος (exaptein lūchnos, “to light a lamp”) is the translation of הֶעֱלָה נֵר (he‘elāh nēr, “set up a lamp”). Our reconstruction of ἅπτει λύχνον as תַּדְלִיק נֵר is based on MH models, since we prefer to reconstruct dialogue in a MH style of Hebrew. In rabbinic sources the phrase הִדְלִיק נֵר (“light a lamp”) is common. In LXX, wherever λύχνος (lūchnos, “lamp”) has a Hebrew equivalent, it is always the translation of נֵר (nēr, “lamp”). As scholars frequently observe, the use of a lamp to conduct the search was necessitated by the poor lighting in most ancient homes, where windows were few and usually small. On reconstructing οἰκία (oikia, “house”) as בַּיִת (bayit, “house”), see Healing of Shimon’s Mother-in-law, Comment to L7-8. L44 καὶ ζητεῖ (GR). We suspect that ἐπιμελῶς (epimelōs, “carefully,” “thoroughly”) in Luke 15:8 is a Greek addition introduced by the First Reconstructor. Not only is a parallel to ἐπιμελῶς lacking in the Lost Sheep simile, but of the three instances of ἐπιμελῶς in LXX, two have no equivalent in the underlying Hebrew text, and in the one verse where there is a Hebrew equivalent the underlying word is שִׁחֵר (shiḥēr, “seek”), which is superfluous in the present context. A possible Hebrew equivalent for ἐπιμελῶς is הֵיטֵב (hēṭēv, “well,” “thoroughly”), but in LXX adverbial uses of הֵיטֵב are translated either as σφόδρα (sfodra, “exceedingly”), ἀκριβῶς (akribōs, “diligently”) or ἀγαθῶς (agathōs, “well”). On reconstructing ζητεῖν (zētein, “to seek”) with בִּקֵּשׁ (biqēsh, “seek”), see above, Comment to L19-20. L45 ἕως οὗ εὕρῃ αὐτό (GR). To GR we have added the pronoun αὐτό (avto, “it”) on the basis of the parallel to this sentence in the Lost Sheep simile (L22; Luke 15:4), and because including the pronoun is more Hebraic. עַד שֶׁתִּמְצָא אֹתוֹ (HR). Compare our reconstruction in L22, which is identical apart from the gender of the verb and the object. L46 καὶ εὑροῦσα αὐτὸ (GR). To GR we have added the pronoun αὐτό, just as we did in L23 and L45. וּכְשֶׁהִיא מֹצֵאת אֹתוֹ (HR). Apart from changes of gender, our reconstruction is identical to that in L23. L47-50 Apart from changing the gender of the participle, the imperative, nouns and pronominal suffixes to the feminine, our Hebrew reconstruction is identical to that in L27-30. L51 ὅτι εὗρον τὸ δηνάριον ὃ ἀπώλεσα (GR). On the substitution of δραχμή in Luke 15:9 for δηνάριον in GR, see above, Comment to L40. שֶׁמָּצָאתִי אֶת הַדִּינָר שֶׁאִבַּדְתִּי (HR). On שֶׁמָּצָאתִי (shemātzā’ti, “because I found”), see above, Comment to L31. On אִבֵּד (’ibēd, “lose”), see above, Comment to L41. Contrast the woman’s statement (“because I found the dinar that I lost”) with that of the owner of the sheep (“because I found the lost sheep”). Whereas the woman takes responsibility for losing an inanimate object, the owner of the flock rejoiced over finding a sheep that had strayed of its own volition. This difference, however, has no bearing on the point of the simile. Lost Coin simile illustrated in stained glass. Image courtesy of Wikimedia Commons. L52-56 The opening of Luke 15:10 has an un-Hebraic word order, which is probably the result of the First Reconstructor’s redactional activity. Instead of Luke’s οὕτως λέγω ὑμῖν γείνεται χαρὰ (“In this way—I say to you—there is joy…”), we suspect that Anth. read ἀμὴν λέγω ὑμῖν ὅτι οὕτως γείνεται χαρὰ (“Amen! I tell you, in this way there is joy…”). The omission of ἀμήν (amēn) is typical of FR’s redaction (see above, Comment to L33-34), and the omission of ὅτι recitative is unsurprising, but the shifting of word order is somewhat puzzling. Perhaps it is simply a stylistic variation. L52 ἀμὴν (GR). We have added ἀμήν on the basis of the parallel with L33. Luke frequently omitted ἀμήν from λέγω ὑμῖν (“I say to you”) statements, often under the influence of FR. L53 λέγω ὑμῖν ὅτι (GR). Our reconstruction is parallel to that of L34. L54 οὕτως (Matt. 18:14). Matthew’s use of οὕτως in L54 is another example of his recycling of Anth.’s terminology in his rewritten application of the Lost Sheep simile. כָּךְ (HR). Our reconstruction of οὕτως with כָּךְ is the same as that which is found above in L35. L55 λέγω ὑμῖν (Luke 15:10). It appears that the First Reconstructor shifted the position of λέγω ὑμῖν (“I say to you”) from before οὕτως in Anth. to its current position after οὕτως in Luke 15:10. This change weakens the parallelism between the applications of the Lost Sheep and Lost Coin similes. Perhaps the change was made simply because the First Reconstructor found verbatim repetition to be tedious. L56 יֵשׁ שִׂמְחָה (HR). Our reconstruction of γείνεται χαρὰ is identical to that in L35. L58 ἐνώπιον τῶν ἀγγέλων (GR). For GR we have added the definite article before ἀγγέλων in agreement with the critical editions of NT, since it is likely that the definite article was simply overlooked by the scribe who produced Codex Vaticanus. Whether to prefer Luke’s ἐνώπιον (enōpion, “before”) or Matthew’s ἔμπροσθεν (emprosthen, “before”) for GR proved a difficult problem to solve. As we have noted, Matt. 18:13-14 is mainly the author of Matthew’s own composition, but he did recycle some original words and phrases from the applications of the Lost Sheep and Lost Coin similes in these verses. Could Matthew’s ἔμπροσθεν be a reflection of Anth., and Luke’s ἐνώπιον be a Greek improvement introduced by the First Reconstructor? Both prepositions occur in LXX as the translation of לִפְנֵי (lifnē, “before”), so ease of Hebrew retroversion cannot be a deciding factor in this case. One clue that might lead to the solution of this problem is the fact that whereas ἐνώπιον occurs 22xx in Luke, ἐνώπιον never occurs in Matthew’s Gospel. But how are we to interpret this datum? Does it mean that the author of Luke had a preference for ἐνώπιον, or does it indicate that the author of Matthew had an aversion to this preposition? Digging deeper, we find that the author of Luke was comfortable using either ἐνώπιον or ἔμπροσθεν, and that he did not mind copying ἔμπροσθεν when it occurred in his sources. The author of Matthew, on the other hand, may well have avoided ἐνώπιον in his sources: in at least one DT pericope where Luke has ἐνώπιον, Matthew’s version of the saying seems less Hebraic than Luke’s (Matt. 10:29 // Luke 12:6). It seems likely, therefore, that the complete absence of ἐνώπιον in the Gospel of Matthew is an editorial decision of its author, and we have therefore accepted Luke’s use of ἐνώπιον for GR. לִפְנֵי מַלְאֲכֵי (HR). In LXX ἄγγελος (angelos, “messenger,” “angel”) usually represents מַלְאָךְ (mal’āch, “messenger,” “angel”) in the underlying Hebrew text. Occasionally מַלְאָךְ was translated by a word other than ἄγγελος, but these instances are in the minority. There can be no real cause for doubt regarding the reconstruction of ἄγγελος with מַלְאָךְ here in L58. L59 τοῦ θεοῦ (Luke 15:10). The phrase “angels of God” is unique to Luke among the Synoptic Gospels, where it occurs 3xx (Luke 12:8, 9; 15:10). Strangely, in each instance where Luke has “angels of God” the Matthean parallels have “my/your Father in heaven.” Perhaps what lies behind both the Lukan “angels of God” and the Matthean “your Father in Heaven” in these instances is an original οἱ ἄγγελοι τῶν οὐρανῶν (hoi angeloi tōn ouranōn, “the angels of Heaven”), where “Heaven” is a substitute for the divine name (i.e., the Tetragrammaton). Elsewhere we have concluded that whenever the First Reconstructor encountered the phrase ἡ βασιλεία τῶν οὐρανῶν (“the Kingdom of Heaven”) in Anth., he changed it to ἡ βασιλεία τοῦ θεοῦ (“the Kingdom of God”) for the sake of his non-Jewish readers. The author of Luke, following the First Reconstructor’s lead, continued this practice. Perhaps the same operation was at work in the phrase “the angels of heaven”: whenever the First Reconstructor encountered οἱ ἄγγελοι τῶν οὐρανῶν in Anth., he automatically changed it to οἱ ἄγγελοι τοῦ θεοῦ for the sake of clarity among his non-Jewish readers. If this hypothesis is correct, then we must suppose that the author of Matthew employed a different strategy. Whenever he encountered the phrase “the angels of Heaven,” he changed it to “my/your Father in heaven,” since he regarded “the angels of Heaven” as an oblique way of referring to God. The few instances where Matthew retains the phrase “the angels of/in heaven” (Matt. 18:10; 22:30; 24:36) are cases where replacing “angels” with “my/your Father” is a nonsensical option. Thus, both Matthew and Luke adapted the phrase “the angels of Heaven,” but their different methods of adaptation preserved different parts of the original phrase. By putting the evidence of Matthew and Luke together we are able to restore a Hebraic phrase that can explain their divergent readings. Alternatively, Jesus may have been suggesting that God calls the angels to celebrate with him over repentant sinners in a manner that is analogous to the way the woman in the simile called her friends and neighbors to celebrate with her. L60 עַל רָשָׁע אֶחָד שֶׁעֹשֶׂה תְּשׁוּבָה (HR). Our reconstruction is identical to that in L36. L61 ἵνα ἀπόληται (Matt. 18:14). In his final statement, “It is not the will of my Father in heaven that one of these little ones might be lost,” the author of Matthew betrays his knowledge that “lost” was originally a key word that occurred in both the Lost Sheep and the Lost Coin similes (L21, L32, L41, L51). As we have noted, despite extensive rewriting in Matt. 18:13-14, the author of Matthew reused some original wording from Anth. L62 ἓν τῶν μεικρῶν τούτων (Matt. 18:14). With his closing phrase, “one of these little ones,” the author of Matthew artfully returns to the subject with which he introduced the Lost Sheep simile—concern lest the little ones be despised (Matt. 18:10). In this way, the author of Matthew reinforced his pastoral concern for the vulnerable members of his community. Luke’s version of the Lost Sheep and Lost Coin similes appears to have undergone a significant degree of Greek redaction, all of which was intended to polish the Greek style of the similes rather than to change their meaning or application. Such editorial improvements involve changes of word order (L15, L40, L53-55), changes of verb tense (L35), the use of synonyms (L14, L18, L25, L40, L59), and the omission of pronouns and the definite article where these are superfluous in Greek (L23, L45, L46, L48, L49). 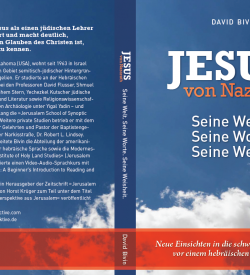 Some of the changes, such as the omission of “Amen” (L33, L52) and the use of “God” rather than “heaven” (L59), may have been motivated by a desire for clarity for non-Jewish readers. Other changes may have been introduced in order to avoid verbatim repetition, which Greek readers might have found tiresome. Most, perhaps all, of these editorial changes should be attributed to the First Reconstructor. Is it true that the Pharisees despised all shepherds? It is difficult to believe that all Pharisees despised all shepherds. Without shepherds there would have been no wool for clothing, no milk for consumption, and no lambs to sacrifice in the Temple. But more than that, heroes of the Bible such as Moses and King David had been shepherds, and the LORD himself was portrayed in Holy Scripture as the shepherd of Israel. It is true that shepherds were often regarded as careless of other people’s property for allowing their flocks to graze on land that was not their own, and it also is true that members of the upper classes (to which some Pharisees belonged) sometimes looked down upon shepherds as uncouth. But these stereotypes notwithstanding, scholars who claim that Jesus could not have addressed the Lost Sheep simile to the Pharisees because the Pharisees despised shepherds stretch the facts too far. This is especially the case since it is not even clear that the fictitious man in the Lost Sheep simile was intended to be a shepherd. He could just as easily be imagined to have been the owner of a flock who employed shepherds to care for his sheep and goats. The Lost Sheep and Lost Coin similes offer down-to-earth illustrations of God’s response to repentance: God feels about repentant sinners the way a man feels who has just found a sheep that strayed from the flock, or the way a woman feels who has just found a coin that had gone missing. Jesus’ purpose in telling these similes was to explain why he didn’t mind eating and drinking in the home of Levi with toll collectors and other sinners. Like the owner of the lost sheep and the woman who found her missing coin, God wants those who are closest to him to come and rejoice with him that a sinner has repented. It would be nothing short of rude to refuse God’s invitation. Jesus had joined in the celebration over the recovery of lost sinners. By telling the twin similes he invited his critics to do the same. Catacomb depiction of a shepherd carrying a sheep on his shoulders. Image courtesy of Wikimedia Commons. Distinctive features of the version in the Gospel of Thomas include the following: 1) the comparison to “the Kingdom”; 2) the description of the man whose sheep went missing as a shepherd (in Luke and Matthew he is the owner of the sheep, not necessarily a shepherd); 3) the description of the lost sheep as the largest; 4) the shepherd’s fatigue; and 5) the shepherd’s declaration to the rescued sheep that he loves it more than the ninety-nine. Nevertheless, the author of Matthew betrayed his knowledge that his source also used ἀπολλύειν. See Comment to L61.